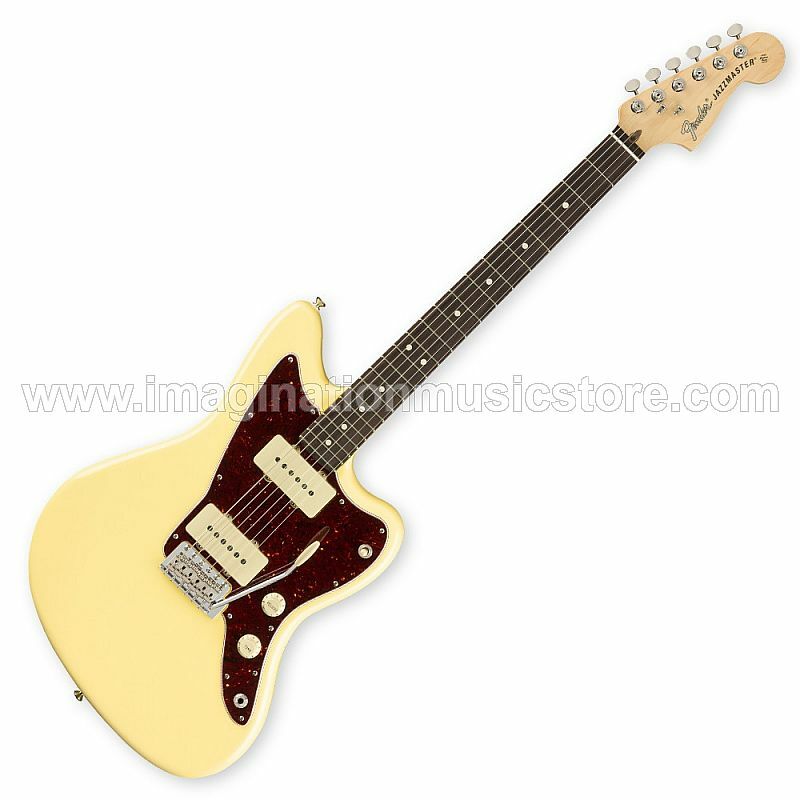 Worlds collide in the Fender American Performer Jazzmaster solidbody electric guitar. At first glance, it's a great-looking Jazzmaster — but a closer look confirms that it's got a Stratocaster vintage-style synchronized tremolo tailpiece. Which means you can expect that voluptuous Jazzmaster tone, with the extended vibrato range the Strat-style tremolo offers. And speaking of tone, a pair of Yosemite single-coil pickups delivers the iconic Jazzmaster tone with a bit more output than usual. Factor in the Greasebucket tone circuit and newly designed ClassicGear tuners, and you've got an impressively flexible gigging guitar with the Fender American Performer Jazzmaster. Created for the American Performer series, the Yosemite single-coil pickups found on this Jazzmaster deliver the clarity and detail vintage Jazzmaster tone is known for. They're wound slightly hotter than vintage JM pickups and feature flat-staggered pole pieces for exceptionally balanced output across all strings. We've seen a lot of different Jazzmasters come through Sweetwater, some with the classic offset vibrato tailpiece and some with hardtails. It's not often we see them with a Strat-style synchronized tremolo, but that's what you have here on the American Performer Jazzmaster. Complete with bent saddles, this vibrato gives you more bending range than a traditional Jazzmaster. If you love vibrato and always wished your Jazzmaster could bend just a bit more, then this may be the guitar for you. Have you noticed how your note definition can suffer when you roll your tone knob back? Of course, there are lots of tone circuit designs out there, but the Greasebucket tone circuit in the American Performer Jazzmaster lets you roll off highs without affecting low frequencies. That means you can get mellow, subdued tones without your tone becoming muddy and indistinct. Many guitarists don't use their tone control very much — but maybe that's because they don't have the Greasebucket tone circuit.